This question comes up frequently in my ministry. There’s something about the story of a worldwide flood and a man beating it out in a boat with all of the animals of the world that makes us wonder: did that really happen? Let me first point out that there are a number of stories in the Bible that are written in a way to lead the reader to understand that they cannot be literally true. For example, in Judges 9, we find a story of how the trees got together to pick a king over them. The story is set in Hebrew poetic form, and should be obvious to the reader that it had not been intended to be taken literally. This is not the same, however, for Noah’s Flood. In my opinion, the manner in which it was written suggests to the reader that the writer of the story meant to convey an account that was literally true. Therefore, the question still remains: did it happen? To paraphrase the account in Genesis 6, we read that God had become greatly disappointed with the sinfulness of humankind, and decided to begin again. He ordered Noah to build a large boat. Just before the floodwaters came, animals of nearly every kind were either gathered or directed by a homing instinct to the boat. After Noah and his family were on board, the deluge began, wiping out every land-dwelling animal and human. After the flood, the living creatures and humans on board began to populate the earth once more. The fossil record suggests that both plants and animals were fossilized very quickly, before decaying or being scavenged. A sudden and catastrophic flood is consistent with this observation. The extensive coal and oil beds of the world were produced by the rapid burial of vegetation and animal life form. Again, this would be consistent with a flood that was more than just local. People from various nations and continents have produced legends of an enormous flood. Although these stories differ in detail and character, their universal development may suggest a link to a common “ancestor” account. Pangea is the theory that the continents were at one time linked together. Many have speculated that Noah’s flood may have contributed to the continental drift that we observe today. I’m not insisting that the Great Flood is the only explanation for these observations. However, these observations are consistent with the flood theory. As I’ve already pointed out, I am not an authority on the natural sciences. Therefore, I cannot contribute to this argument from that standpoint. However, I would like that to add something from a theological vantage point. I suspect that many (not all) unbelievers feel that if they can disprove Noah’s Flood, then they have disproved Christianity. This is simply not the case. 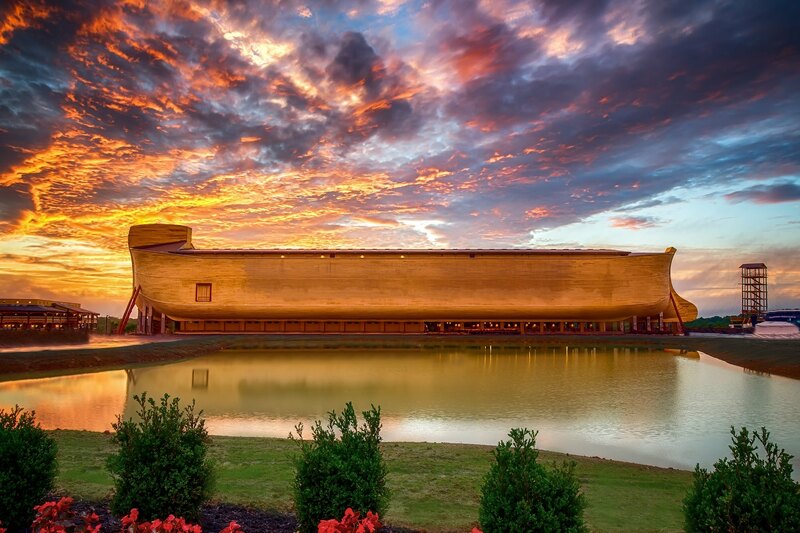 Disproving Noah’s Flood would only cause many to reconsider how they understand an ancient text. It would not mean that there is no God, or that Christianity is wrong. One might get the impression that I’m arguing against a literal understanding of the flood. That is not the case. It is my opinion that the account of Noah’s Flood was meant to be understood literally, and actually occurred. I am only suggesting that a Christian’s faith does not hinge on the flood. If one is not open to the concept of a God who intervenes with His creation, then the idea of an ancient, worldwide judgement via a flood would be preposterous. However, if one is not closed-minded to this possibility, then it should remain as a possible explanation for some of the phenomenon of our natural world.